Need a last minute Christmas present? How about making a donation to the No. 1 Ladies’ Opera Festival on behalf of a friend? 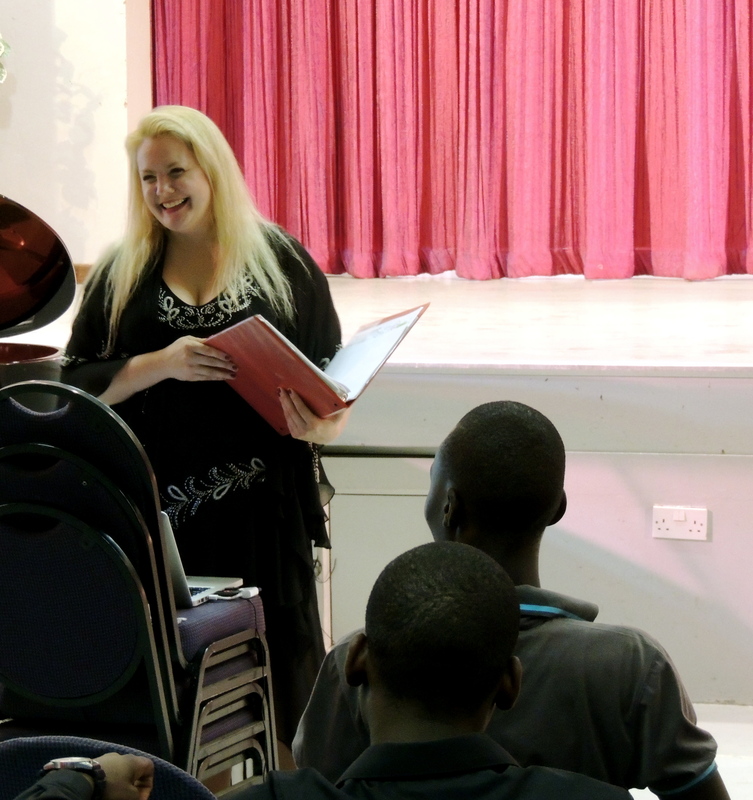 Opera Workshop for Young Professionals – the singers of No. 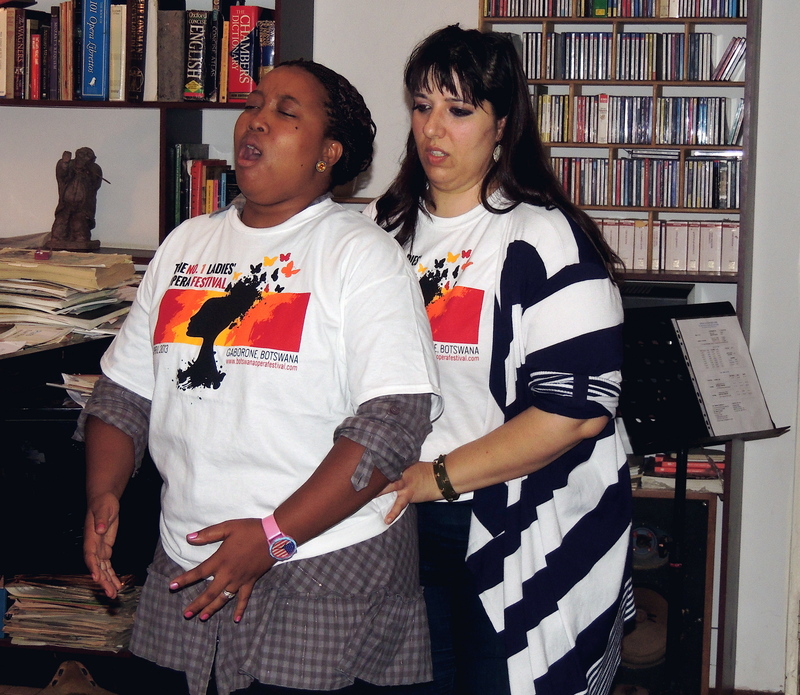 1 Ladies’ Opera House have extraordinary talent, but they need help getting to the next level. Our team of artists will be offering workshops and master classes, sharing everything we know about vocal technique, stagecraft and opera repertoire. 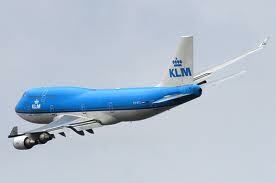 And then we’ll perform opera together all over the capital of Botswana! Please help us fund this program and rent the best stages in Gaborone. Documentary – these young African opera singers are doing something incredible, but no one knows about it. We want to broadcast their music across the world. Will you help us tell their story in film? Any amount helps! Music Therapy for AIDS Orphans – we will be offering a 5-day music workshop for kids in Gaborone, Botswana, in collaboration with Churches United Against HIV & AIDS. Most of these kids have lost their parents to AIDS. Will you help us give these precious children a week of musical fun? We’re teaching the program for free but we need money for space rental, supplies and musical instruments. Lodging – once we’re there, we’ll need a place to stay. $40/day buys us each a bed at the lodge! Namibia Concert – we have been invited to give a special concert in Windhoek, Namibia but we need some money for travel if we want to make it happen. So how does it work? Just use this Network for Good Badge (be sure to write “No 1 Ladies Opera Festival” in the designation field.) OR donate through the festival website . Then email me at lindsay@lindsayfeldmeth.com with your friend’s name and email address. Help some talented artists on the other side of the world… make this Christmas an African Christmas! This project is generously sponsored by the Association of Performing Arts Presenters and the Andrew W. Mellon Foundation and endorsed by Claremont Graduate School, the Global Women’s Research Institute, the No. 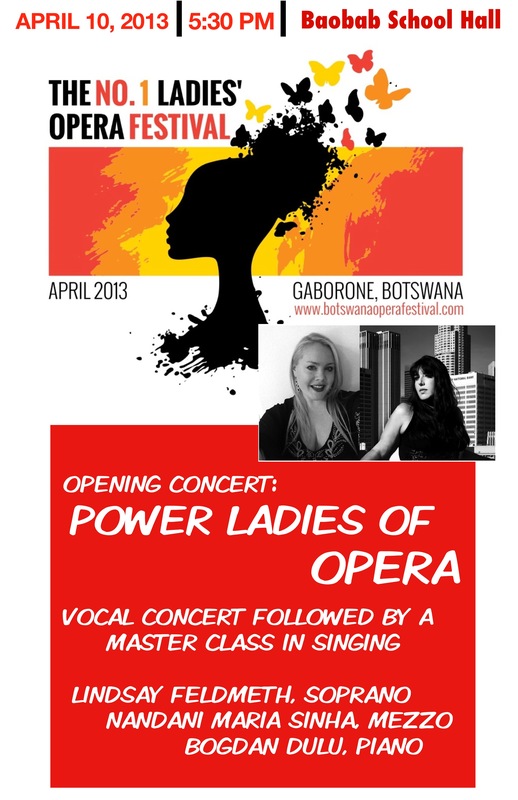 1 Ladies’ Opera House, Maitisong Festival, David Slater Music, Cadenza Artists, and San Pedro Opera.